Using a pen and a paintbrush to cut a path through historic angst and create future solutions. My recipe for creative works and community engagement, an approach to enlightenment, a form of nirvana – perhaps. 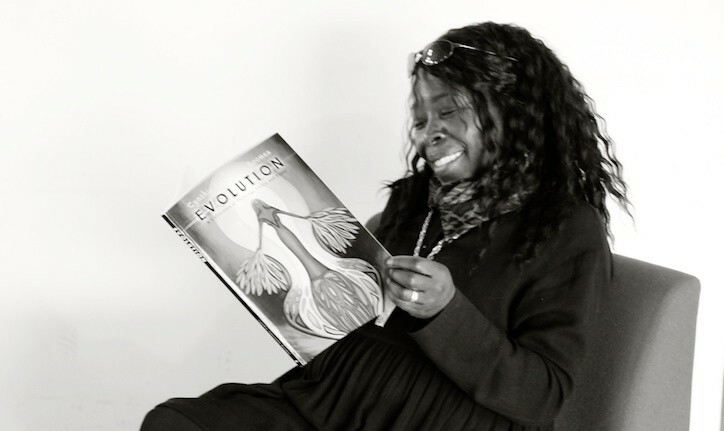 Welcome to my inaugural blog post, a feature of my website: http://cynthia-roomes.com where you can discover more about my first self-published book ‘EVOLUTION – a collection of paintings poetry and prose’, and my practice model ‘The Well Connected Cycle of Community Engagement’. On the website you can view images of my artwork, access samples of my poetry, read insights and news about my publications, start a conversation that could change our futures by bringing positive energy and creativity to the way we work. In my neswletter I’ll also be focusing on best practice in working with local people, my favourite community projects, sharing ideas about how we can influence policy, and shape strategy. I would love you to join me! It (my art, my poetry) seems such a contrast to all of your work as a project manager and consultant. Do you ever find that the project management and consulting side of things stifles the creative side of you, or do you find that the projects you choose in the community allow you to make sure of your creative perspectives? Both project management and the artistic / creative fields have their stereotypes… You must have a way to transcend them both! I was initially motivated to write poetry because of social angst. I was first inspired by writers such as Wilfred Owen and Seigfreid Sassoon – war poets, and by Helen Steiner Rice – a christian poet I believe, then contemporary black poets like Miss Lou, Linton Kwesi Johnson, Labi Siffre, Benjamin Zephaniah, Beyonder. All warriors of words and poetic wisdom, seeking to write-right historic wrongs – there really are some awesome poets out there. I have cutting edges in my poetry, as I do in project management, so as a creative the two ‘sciences’ sit well with me. Both have ascending, transcending, and descending requirements, most of the time I enjoy the ride. I’d describe my poetry as an uprising, ‘quick and powerful like a two edged sword’. Nothing stifles my creativity, I just need to make time to eke it out. My first book was 40 years in the making. You are cordially invited to visit my newly published website where you can find more about me, my work, my creative passion. View images of my art work, read my poetry, discover a little bit more about how I evolved and what I create, at work, at rest, at play. You can also sign up for my newsletter, ‘follow’, get in touch, bring forward collaborative ideas, place an order, build up your own ‘evolution collection’, and gather information resources to help you work more effectively and creatively. Looking forward to dialogue, some meaningful communication, and establishing new and exciting partnerships. If you have ideas about how we could work together to acheive change for better for good, please do get in touch!